According to its website, HPA Balance is a high-quality product that restores one’s hormonal balance and adrenal function in a safe and natural way through combining herbal substances together. Who is the Manufacturer of HPA Balance? 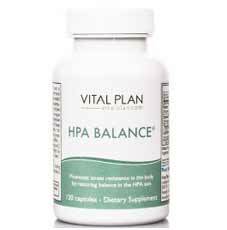 HPA Balance is manufactured by Vital Plan, a wellness company founded by Dr. William Rawls and his daughter. The company has a well-established website full of details about its product. What Does HPA Balance Claim? HPA Balance claims to have natural ingredients that can help balance the hormones of a woman during menopause and relieve the following symptoms: hot flashes, night sweats (as it stabilizes the body’s temperature), mood swings, inability to focus and weight gain (it reduces carbohydrate and sugar cravings). HPA Balance claims to relieve the symptoms of not just stress but as well as menopause through balancing the HPA (Hypothalamic Pituitary Adrenal) Axis of a woman’s body which is its central hormone pathway. 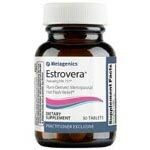 Since, during menopause, the reproductive hormones estrogen and progesterone are produced in an erratic manner, the HPA balance is affected and this gives rise to emotional stress and negative menopause symptoms. However, through the use of HPA Balance, nature’s extracts can help bring back balance in the HPA Axis. HPA Balance Ingredients – Are they Safe & Effective? Sensoril® (225mg/serving) – Is a standardized Ashwagandha Root Extract. Ashwagandha is a plant that grows in India that has a) balancing, b) energizing and c) rejuvenating properties. This extract’s claim is supported by a clinical trial. Relora® (250mg/serving) – Coming from a natural medicine that has been used for more than 1,500 years by the Chinese, this Chinese Tree Bark Extract has been clinically proven to normalize cortisol and DHEA levels. TheaKalm® Pure L-Theanine (200mg/serving) – Extracted from pure green tea, TheaKalm® delivers L-theanine to the body that helps keep it calm. 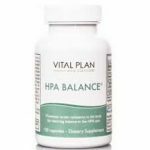 Vital Plan® (20mg/serving) – Is a Vital Enzyme Blend (a mix of plant-based enzymes) that aids in the digestion and as well as absorption of all the ingredients found in HPA Balance. What are the Advantages of HPA Balance? Ingredients are backed by clinical trials. What are the Disadvantages of HPA Balance? There are no disadvantages associated with the use of this supplement. According to its website, HPA Balance is made from natural and clinically-proven ingredients that have no risk of tolerance and side effects. However, this product is neither for pregnant nor nursing women. For women who are taking psychiatric meds, prior consultation with a physician is required. This product should be kept away from children and the safety seal should be intact before using it. What are the dosage directions of this product? HPA Balance is taken as follows: 2 capsules in the morning and 2 in the evening. Dosage may be adjusted as suggested by a health care provider. There is no definite time given as to when results may show, but most reviews about it state that consumers experienced a positive change within a month or so of using the product. As mentioned earlier, women who are taking psychiatric medications should consult a healthcare provider first before taking HPA Balance as possible interactions may occur. Who Can Take HPA Balance? HPA Balance can be taken not only by women suffering from menopause and even those who are under stress as long as they are not allergic to any of HPA Balance’s ingredients. HPA Balance is a unique product in the roster of menopause supplements as it is not just designed for women who are undergoing menopause, but it is also generally for women who are undergoing stress. Its main goal is not just to treat menopause symptoms but to bring back the normal balance of the HPA Axis of the body which has a long-term positive effect. Although its results may vary from one woman to another, reviews about this product are generally positive. The only obvious disadvantage of this product is that it has a higher selling price as compared to other supplements. However, for women who are seeking quality and effective menopause relief supplement, then quality is more important than quantity.